Summary: Music, specifically infant directed song, could have evolved as a means to allow parents to let their children know their needs are being met, while freeing them up to perform other essential tasks, a new study theorizes. Mehr notes that infant-directed song provides lots of opportunities for parents to signal their attention to infants. NeuroscienceNews.com image is for illustrative purposes only. Harvard University “The Making of Music: Study Proposes New Theory of Evolution of Infant Directed Song.” NeuroscienceNews. NeuroscienceNews, 26 February 2017. Harvard University “The Making of Music: Study Proposes New Theory of Evolution of Infant Directed Song.” http://neurosciencenews.com/infant-song-evolution-6160/ (accessed February 26, 2017). We present a theory of the origin and evolution of infant-directed song, a form of music found in many cultures. After examining the ancestral ecology of parent-infant relations, we propose that infant-directed song arose in an evolutionary arms race between parents and infants, stemming from the dynamics of parent-offspring conflict. 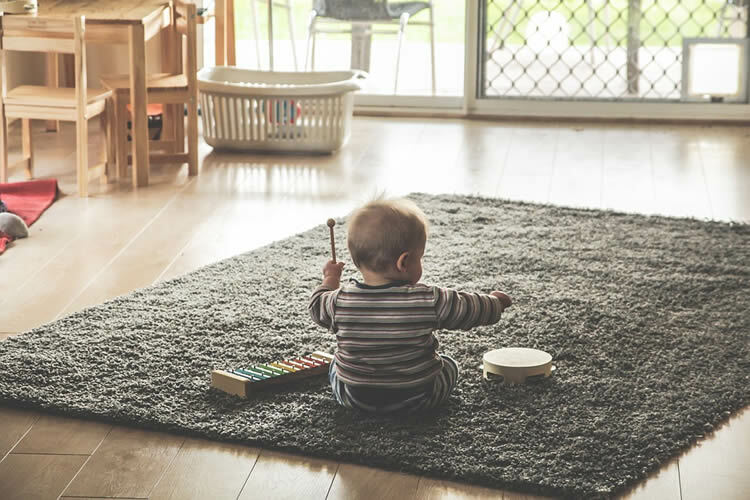 We describe testable predictions that follow from this theory, consider some existing evidence for them, and entertain the possibility that infant-directed song could form the basis for the development of other, more complex forms of music.